I think about my introduction to social activism. The stereotypical white liberal entree: Amnesty International. I found a way to speak up, to have my voice, my belief, my opinion, about injustices heard. Or so I hoped. (I could write about this topic forever...) A direct informer to me of injustices that which I could then act—by writing a letter. I found empowerment to the injustices I knew but never spoke of. And then there were my multiple introductions to environmentalism. And green products. And retail that could be responsible. Using a retail space (The Bodyshop) to spread environmental activism, or simply, environmentally responsible choices. The ability to vote with your dollar. And to buy products that were environmentally produced, and were environmentally sound: what a concept! 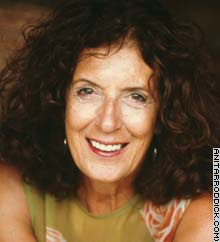 Anita Roddick (a powerful woman!) was a business owner with a belief that ran so deep it ran through her business: I understood what this meant. To live your life through your values (or my desire to). It’s easy to simplify this down to buying mango body butter with justification. But it wasn’t that. 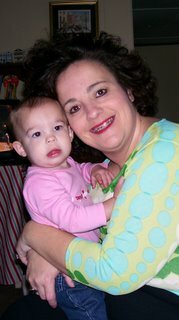 It was demonstration of instilling your beliefs into your business and I was hooked. Anita Roddick died yesterday of a brain hemorrhage at age 64 and I’m sad. A woman with this strong of a belief of values and business, I wonder what she would have done at age 70. And age 80. You know she would have. For more about Anita, here’s a link to the AP story. Thank you, Anita: your belief in personal activism, business ownership and demonstration, made this woman in Portland, Oregon a believer, and an evangelizer..even when evangelism is a dirty word. You inspired me to be the woman I am today. Amen! Oh, how I wish others could follow her example. i was a child in the UK in the 70's and her shops, her products, her ideas brought awareness to so many of us, not only about the places these products came from but also about wellness, wholeness and well being.